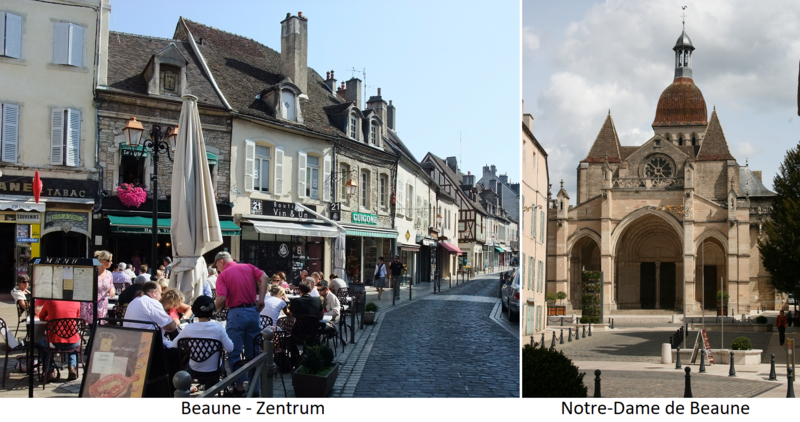 The city in the area Côte de Beaune, the southern part of the Côte d'Or is considered the wine capital in the French Burgundy (the political capital is Dijon ). The city was founded by Julius Caesar (100-44 BC) as a Roman camp and was the seat of the kings of Burgundy until the 13th century. Under Duke Philip the Good (1396-1467) Nicolas Rolin (1376-1462) founded in 1443 the world famous "Hotel Dieu" (the Hotel of God), the Christian Hospices de Beaune, which was used until 1971 as a hospital. The annual event here auction (Auction) of wines for charity is today a world event.